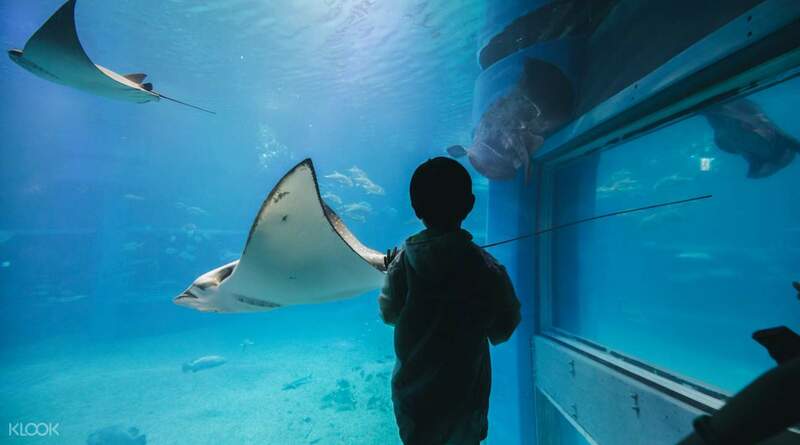 Get up to 33% off on Osaka Aquarium Kaiyukan Ticket if book a USJ 1 Day Ticket combo package! 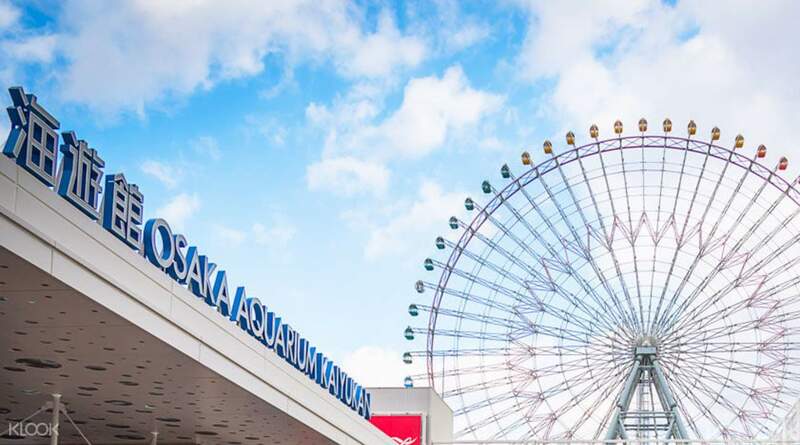 Book an Osaka Aquarium Kaiyukan and LEGOLAND Discovery Center Osaka Ticket combo package at 17% off on Klook! This is your chance to wander around Osaka — Osaka Amazing Pass is also available on KLOOK! Osaka Aquarium Kaiyukan is located in the Tempozan Harbor Village of Osaka's bay area, and is one of Japan's most spectacular aquariums. It introduces various forms of life inhabiting the Pacific Rim in a well organized and impressive way. Marine life is displayed in 15 tanks, each representing a specific region of the Pacific Rim. The central tank, representing the Pacifc Ocean, is nine meters deep and home to a whale shark, the aquarium's main attraction. 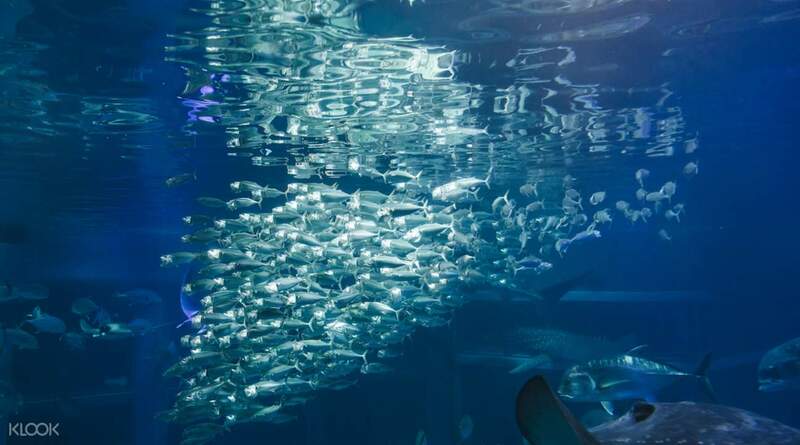 As one of the largest in the world, Osaka Aquarium Kaiyukan is certain to amaze. Complete with an impressive display of marine life from the waters of Japan, the Pacific Ocean and beyond, this walk-through aquarium aims to bring visitors closer to the underwater world. Exhibiting 27 tanks (the largest being 9 meters deep! ), you'll see not only fish, manta rays and whale sharks, but also amphibians, reptiles, birds and mammals representing the beautiful and diverse natural environments of the Pacific Rim region. Very convenient to buy this voucher via Klook and we only need to show our e-voucher at entrance. Very impressive aquarium! My family enjoyed a lot especially my son. Will definitely use Klook for my other travels. Very convenient to buy this voucher via Klook and we only need to show our e-voucher at entrance. Very impressive aquarium! My family enjoyed a lot especially my son. Will definitely use Klook for my other travels. This was definitely a good experience! If you have kids, this should be in your itinerary. There was a whale shark in the aquarium! The different marine life will definitely delight kids AND adults 👍🏼 The location of the aquarium is easy to go to & there’s a shopping arcade right next to it wherein you can hang out & eat after visiting the fishes. This was definitely a good experience! If you have kids, this should be in your itinerary. There was a whale shark in the aquarium! The different marine life will definitely delight kids AND adults 👍🏼 The location of the aquarium is easy to go to & there’s a shopping arcade right next to it wherein you can hang out & eat after visiting the fishes. Beautiful place! You'll need a whole day here to space out the feeding times and also for shopping. They even help you to take and print professional pictures for free! On top of that the tickets are so cheap. Will definitely return here again and this time I'll spend the entire day instead of just half a day. Beautiful place! You'll need a whole day here to space out the feeding times and also for shopping. They even help you to take and print professional pictures for free! On top of that the tickets are so cheap. Will definitely return here again and this time I'll spend the entire day instead of just half a day. Very convenient. Just purchase voucher from Klook and use QR code from mobile phone to enter the aquarium. The aquarium itself is very good for children and adults as well. Whale sharks are amazing and Sun fish also stunning. We all have good memories here. Very convenient. Just purchase voucher from Klook and use QR code from mobile phone to enter the aquarium. The aquarium itself is very good for children and adults as well. Whale sharks are amazing and Sun fish also stunning. We all have good memories here. awesome place to hang out with your loved ones, highly recommended to bring your kids along too. it's one of the best aquarium I have visited so far throughout my life. really full of varieties of animals and surprises. 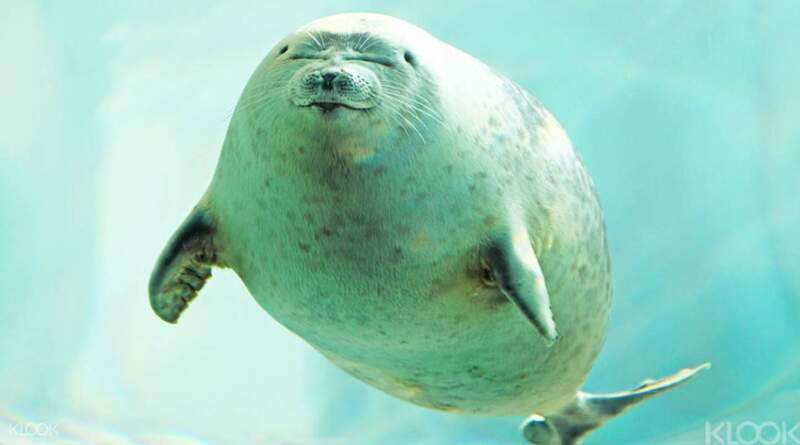 Am really happy as we have a lot of close-up experience with these aqua-life. I have to give 5 star as there are too many good things in this place, the number of facilities provided in the aquarium is quite surprising too, have never seen an aquarium with so many seats for customers. It was a really great experience overall. awesome place to hang out with your loved ones, highly recommended to bring your kids along too. it's one of the best aquarium I have visited so far throughout my life. really full of varieties of animals and surprises. Am really happy as we have a lot of close-up experience with these aqua-life. I have to give 5 star as there are too many good things in this place, the number of facilities provided in the aquarium is quite surprising too, have never seen an aquarium with so many seats for customers. It was a really great experience overall. def worth the experience def should buy the ticket early from klook, you dont have to line up to buy tickets. you can spend almost half a day there. so much to see. a lot of kids from.school come here as well, but it's ok. just go there early when they open. def worth the experience def should buy the ticket early from klook, you dont have to line up to buy tickets. you can spend almost half a day there. so much to see. a lot of kids from.school come here as well, but it's ok. just go there early when they open.